A solid week through the hot temps and high humidity. Except for a junk run on Wednesday I've been feeling excellent in terms of fitness. For my core/strength workout Sunday I decided to take to the sidewalk/street in front of my house. 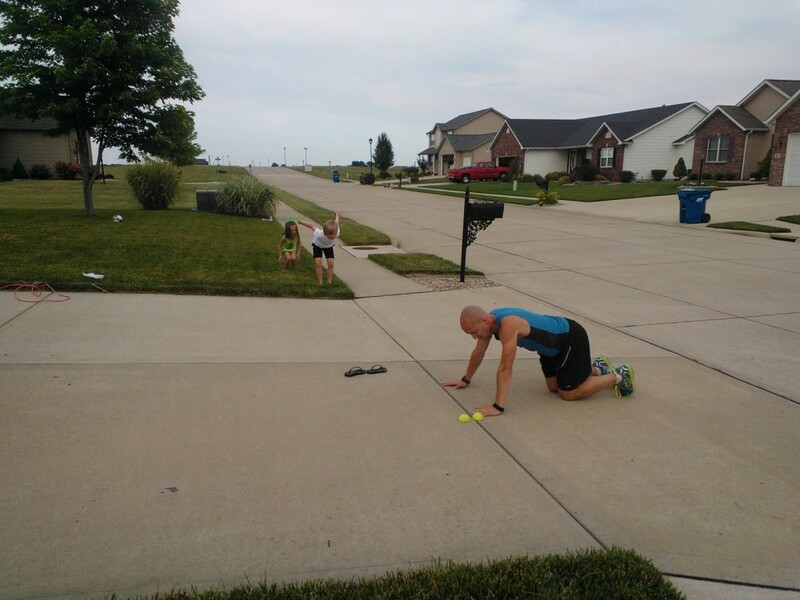 I ended up with a few kids that decided to try to do the workout with me. My daughter (green shirt) and the neighbor boy Tyler (white shirt) hung on the longest before becoming board and deciding to jump on another neighbors trampoline.